“Please. Be a good son. Just kill me. Please? Please?” The quivering figure in ruined silk lying on the cold granite looked up at him, one eye visible from the mass of sticky, bloody hair. Stray strands with scalp still attached lay all over the floor, she had pulled them out on her own. There were bite marks all over her arms, chunks of missing flesh where she tore it out herself. Parts of her legs were green, rot was setting in and the stench was unbearable. Once the most powerful woman in all of Yue lay one the floor, hands and feet manacled to the bed post, begging for her only son, her twelve year old son, to kill her. Begging for anyone to kill her. Firm hands clasped Zhuo Hao’s shoulders, a man in gold and black bent down to whisper, “Pitiful, isn’t she?” Zhuo Hao and the Emperor stood at the door, behind gold prison bars that separated the woman and them. The Emperor looked at the woman who use to share his power, “Do you know how the poison works?” Zhuo Hao shook his head, he must keep his face like stone he told himself over and over as the sounds of teeth tearing into flesh filled his ears. He wanted to cover his ears, he dug his hands into his sides and bit the inside of is mouth until he could taste the blood. 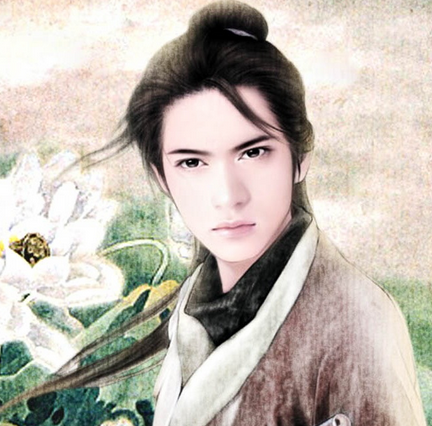 Zhuo Hao kept his face impassive as he answered in a similar tone, “Perhaps this the price of crossing the mighty Emperor.” Ever since he was young, his mother had ingrained in him that his father held the lives of not only Zhuo Hao, but his mother’s entire extended family in his claws. One wrong word was all it took. With that, he petted the head of his 12 year old son, and left. He gestured to the guards lazily, “You may take your leave now. The prince may want to talk to his mother alone.” The guards bowed and shuffled out. Zhuo Hao could not cry. He had never been allowed to cry. If he did now, his mother would just sneer at him through bloody lips. All she had done for him would be for naught. His mother stared at him, her body shuddering in pain as the poison tortured her from inside out. She closed her teeth on a finger and started gnawing. Zhuo Hao was not allowed to scream, he could not look away as blood dripped from her lips. The finger fell to the floor. She began chewing on the next one. The stench of rotten flesh, the body, his mother’s torture face…. Zhuo Hao gasped as he sat up, he had sweated through his clothes again. He dragged his weary body out of bed and gulped down water, waiting the for the shuddering to stop. He was in the safe confines of the monastery. It was only after midnight. How many years has it been since his mother died? 13? 14? He could barely remember what she looked like when she was an empress. All that remained in his memory was the tortured monster who finally died on the eighth day of her imprisonment. The room was stifling, he could still smell his mother’s perfume mixed with the iron smell of her blood. He opened the door and strode out. Once he was out of the sleepy monastery, he leapt into a tree, a grey blur of monk clothes in the dark forests. In the gentle cacophony of the forest, peace once again returned to his heart. The screams of his mother faded into the mists of the canyons. He took a deep breath. A sweet memory took the place of the bitter one. A girl in light green laughing and dancing in the wind. He was awed by her martial arts when they had first met. She had attacked the bandits that held him hostage, throwing them off a bridge. She had also mistakenly thrown him into the water too. In the cold water, Zhuo Hao had closed his eyes, intending to never rise from the depths. He had fought long and hard to become a Thief Lord. And for what? The ghosts of his past continued to haunt him, even after he left the palace. An arm had gripped him by the nape of the neck. When he looked up, a delicate girl in green was single-handedly dragging him to shore. It was only when she apologized profusely saying that she was bad at faces and she hadn’t mean to thrown him into the water, did he laugh with a warm feeling he had long since forgotten. The look on her face had made him laugh and laugh and laugh. When he met Lin Yu, he was a deeply bitter man. She took his hand and showed him the night sky, pointing to the stars she loved the most. That night, the light of the stars reflected in his eyes as he looked at her. The days passed into months, the more he knew of her, the more he resolved to stay by her side. She made dishes which Yu Zhu had said was more dirt than vegetables. Zhuo Hao smiled happily, he only tasted the wildness and freedom that seemed to burst from her in her cooking. He didn’t care, he would willingly eat it until it killed him. When he looked int her eyes, he found peace, something the had never known before. The lightest touch of her hand made his heart soar. Slowly, hesitating, he felt his heart beat faster whenever she was near. He dared to dream when he was with her. Zhuo Hao had been initially shocked to find out that she wasn’t human, but then realized that it didn’t matter to him at all. He fell in love with her soul, not her form. Zhuo Hao savored the sweetness of the memory, letting the happiness wash over him like calming waves. He wasn’t the man his mother wanted him to be. He didn’t want to kill his way to the throne. Let the others bleed. He only wanted Lin Yu. “It didn’t take you that long to realize my true identity either.” Zhuo Hao pointed out with a smile. Pei swallowed, still shamefaced. He had forgiven her completely and he was always so good to her. She could never live with the guilt. “Then why did he send your brother?” Pei asked, she had always thought the palace was a wonderful palace filled with beautiful people, but this wasn’t what she knew at all. “What will you do?” Pei whispered. She was afraid of the answer. Tu Suo and Grandfather looked at each other, “We do not need all the territory. We’ve taken most of theirs anyway” Grandfather began but Wei Yun turned to look at them. He wore an expression of stone, “when I promised you I would help you, perhaps I did not make it clear.” The air shifted around him, Grandfather felt the God’s power and frowned, it was a hundred thousand times more powerful than before. Even more than the Gods in Heaven. There was something unstoppable about Wei Yun now. With that he nodded and left, leaving for the enemy territory in a streak of white hot light. “All..of..them..” Grandfather’s eyes widened. Tu Suo rushed down the dais as he caught Grandfather before he could fall to the ground. Tu Suo didn’t understand. “Grandfather?” He led the man to sit on the throne, grabbing a cup of tea for the old man. “Grandfather, stop speaking in riddles.” Tu Suo was frustrated. *cringe* the way Zhuo Hao’s mother suffered and died had me almost baffling… his father is a ruthless man… but I guess in order to sit in the highest position sometimes you have to harden your heart and become a cold blooded monster. I can understand why Zhuo Hao rather stay in the monastery then live in the lavish imperial palace with all four corners under attack. I also like how we got to see his inner thoughts and affections towards Lin Yu. But knowing how he may end up in the fight for the throne with ZZY, I’m not sure they will have a happy ending. omg sutekii1! i just realised that you are on all 3 blogs i currently frequent: tumble into fantasy, one second spring and here! what a coincidence… do you frequent koala as well? Hahaha yes I’m on a lot of blogs. As for ms. koala I do go on her blog, mainly to read her english translation. I’m currently following her current project. But I’m a silent lurker on her blog, I rarely comment. Nice to meet you! Hahaha yes, I will be collabrating with Karma on this project, but the releases will be slow as Karma and I have work commitments, and obviously beyond comparison to Ms. Koala’s translation. Wow! I feel blessed to have you feed me 2 chapters suddenly! haha! I really like the interaction between Yu Zhu and Zhan Ye! Makes me nervous all the time like, will he find out this time? hahaha! 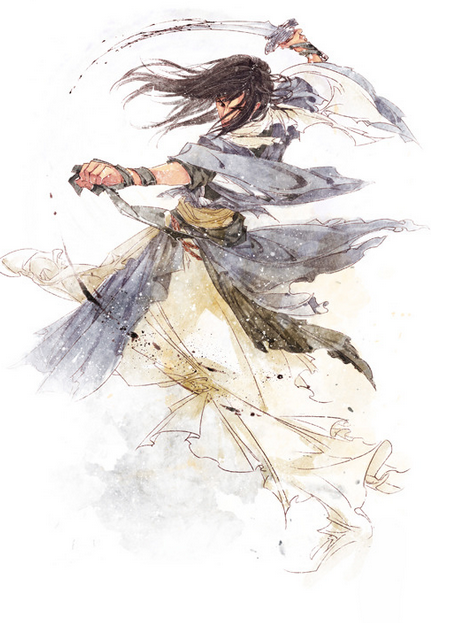 Lu Xi or Hua Er will probably be one of the way for Zhan Ye to find out more about the Yu Zhu! I can’t wait to have Hua Er meeting Yu Zhu again. At least Hua Er will know that Yu Zhu is safe but will be saddened that Yu Zhu is not the Yu Zhu she knows anymore. Wow, two updates over the weekend. Thank you! (= But I really hope you didn’t feel pressured by us. I hope you were able to enjoy your 3-day weekend. Back to the story, I already saw that coming, how did Grandfather not see it coming? The only threat to Yu Zhu’s life is really the Emperor of Heaven. Of course he’s going to go against them. I guess he really didn’t think it through at all huh? Zhuo Hao’s story is really sad. We have all these scarred characters.. Wei Yun, Zhuo Hao, Huang Wu, Yu Zhu, even Hong Yan Su.. They really have it hard. And then they all have one light, Yu Zhu – Wei Yun, Yu Zhu – Hong Yan Su, Zhuo Hao – Lin Yu, Huang Wu – Lin Yu. You just said what I wanted to say Chang’er, I’m referring to the second paragraph. Maybe because we know the whole story and some were left unsaid to Grandfather and Tu Suo? Maybe not, they just have too many things and plan in mind to see that the true enemy in Wei Yun’s eyes is the King of heaven. Of course he must be defeated, he afterall is the main antagonistic of this whole story. Such a cliff hanger for me! It was still very nice to get to know Zhou Hao better. I guess I should of seen if coming, that Zhou Hao and Zhan Ye are princes of another kingdom. I am so amazed at how easily you intertwine all these different kingdoms together into your novel. I cannot wait for your next chapter. Hopefully Yu Zhu will come into contact with Hua Er, her brother, and all the characters introduced in the beginning. Once again, thank you so much for your hard work and dedication. I’m so impatient. But I’ll wait.